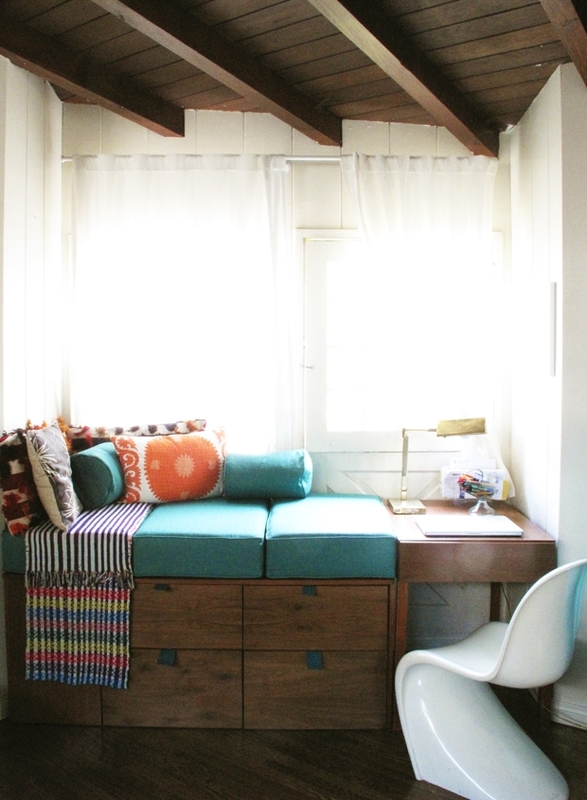 Blog / Designer Spotlight / Welcome to Decorist Justina Blakeney! Welcome to Decorist Justina Blakeney! Today we welcome THE Justina Blakeney to our fabulous line-up of celebrity designers! A world-traveler and blogger with vivacious and eclectic style, Justina's busy schedule has rendered her nearly impossible to snag a project with... until now! Following the debut of her best selling coffee table book, The New Bohemians, and wildly popular blog , Justina’s talents are in demand and trending in a big way. 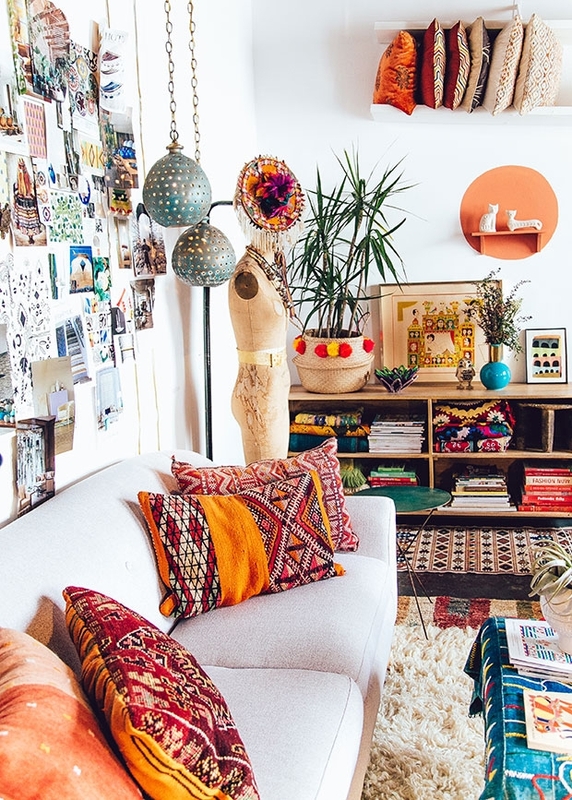 Her signature “Jungalow Style” is decidedly hip yet accessible and her signature look gives a fresh new face to both boho and eclectic design aesthetics. 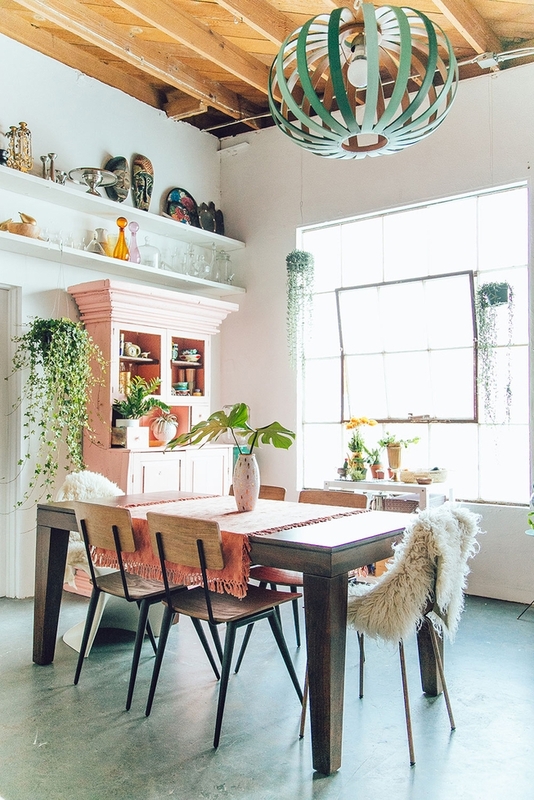 Domino Magazine and MyDomaine.com named one of the best design blogs on the web — with over 200,000 monthly readers, she inspires people all over the world to get free-spirited and bold with their home decor. Justina truly lives, breathes and sleeps design. In her words, “I believe that good design increases quality of life and that objects carry the stories of their makers—so things that are made with love, care and good materials bring those qualities with them wherever they go.” Just one more reason to love her! If her blog, book and interior design business weren’t enough to keep her plugged in 24/7, Justina’s vintage-inspired design collaborations with retailers Loloi Rugs and Hygge & West Wallpaper will fill you with awe (and maybe a titch of design envy). Justina credits her extensive travel, a degree in World Arts and Cultures, and growing up in a multi-ethnic family for shaping who she is as a designer. Decorating to her is about feeling free, having fun and getting a little bit wild. We couldn’t agree more! We are beyond thrilled to have Justina in our celebrity designer lineup. As this is a highly exclusive opportunity, she's going to fill up fast. See more of Justina's design portfolio or start a project and request Justina as your designer toay!